Photograph of Katie Couric and colleague Wendy Walker courtesy of Katie Couric; Schieffer by CBS/Getty Images; Randall Kennedy as a child courtesy of Randall Kennedy; Kojo Nnamdi and his two sons courtesy of Kojo Nnamdi; Sally Quinn and Ben Bradlee courtesy of Sally Quinn; Henry Rollins by Bob Chamberlin/Getty Images. Arlington native, former cohost of Today and anchor of CBS Evening News, now global news anchor for Yahoo. Katie Couric (left) with colleague Wendy Walker at a Radio & Television Correspondents’ Dinner in the early ’80s, when Couric was at ABC. Photograph courtesy of Katie Couric. 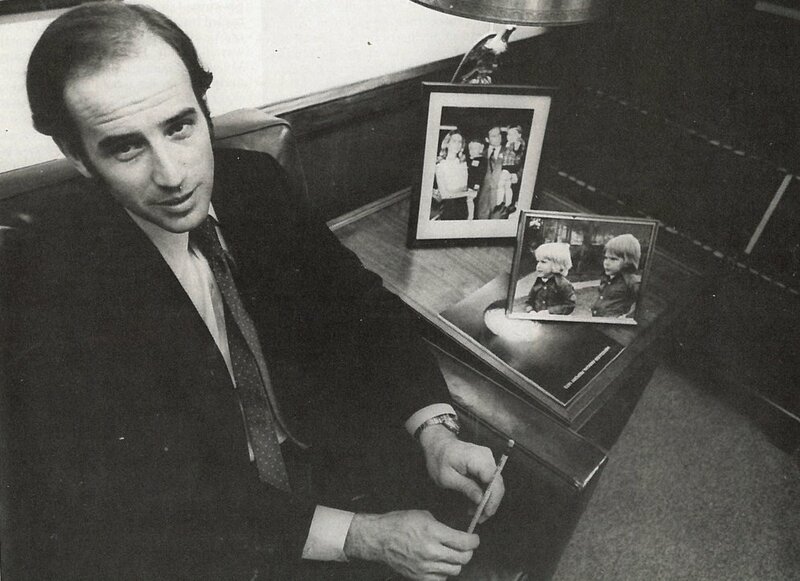 “I was working for ABC–my first job in television and really my first time out on my own. I remember Sam Donaldson grabbing me on my first day and whisking me to the White House to watch a briefing. My first job, my first network experience, my first Radio & Television Correspondents’ Dinner–I got so excited when I saw Jane Pauley in the security line. It was the first year I felt like a true Washingtonian. It wasn’t so much I was seeking fame and fortune–I was just seeking a paycheck and an interesting job. “I was living in Georgetown on Dent Place. I’d never lived in DC until then. I would go to the French Market. It meant going out to the River Club. Duke Zeibert’s was the place to be seen. I was kind of naive–not necessarily fallen off the turnip truck, but it was all very new to me. “I did, that year, think about leaving television. I’d work 11 to 7 one day, 3 to 11 the next day, I’d work the overnight, and I worried it was a dead-end job. My big responsibility was answering the phone, making coffee, changing the ribbon on the teletype machine, passing out rundowns and newspapers. I got Frank Reynolds ham sandwiches. There weren’t that many women in important positions, and the majority of roles seemed to be occupied by men. That was when ‘harass’ was two words instead of one. A key figure in DC’s ’80s punk scene, he was a member of the local band State of Alert and went on to front Black Flag and the Rollins Band. 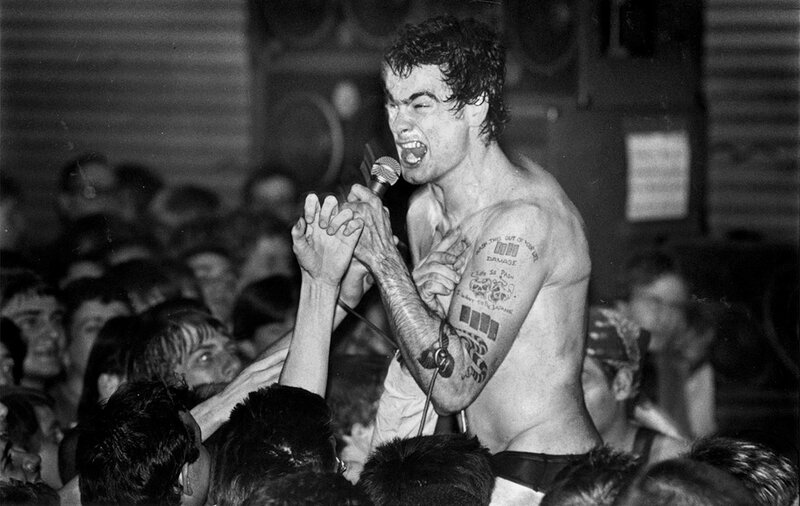 Rollins performing with Black Flag a couple of years after leaving Washington. Photograph by Bob Chamberlin/Getty Images. 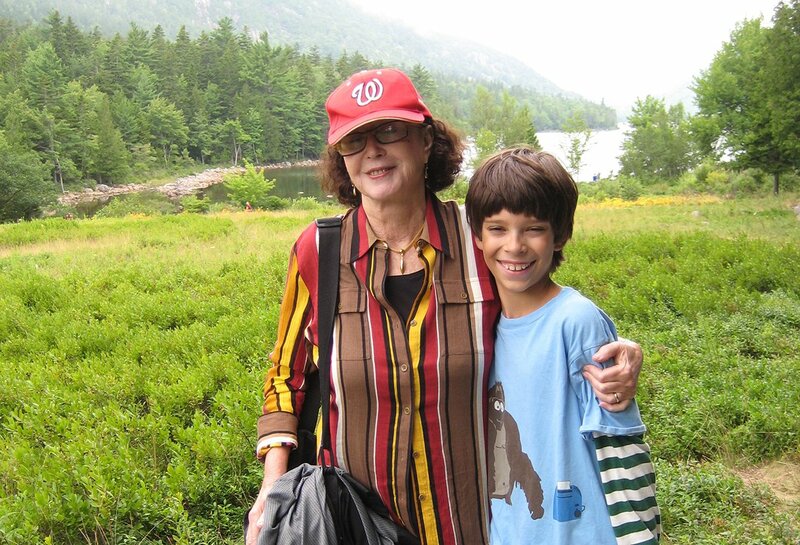 “The year before, I graduated from high school, and there was the revelation that the coming September I wouldn’t have to put my uniform on and ship myself out to Bullis, the prep school for boys in Potomac that had been my experience since sixth grade. So the first idea of adulthood starts to hit you. 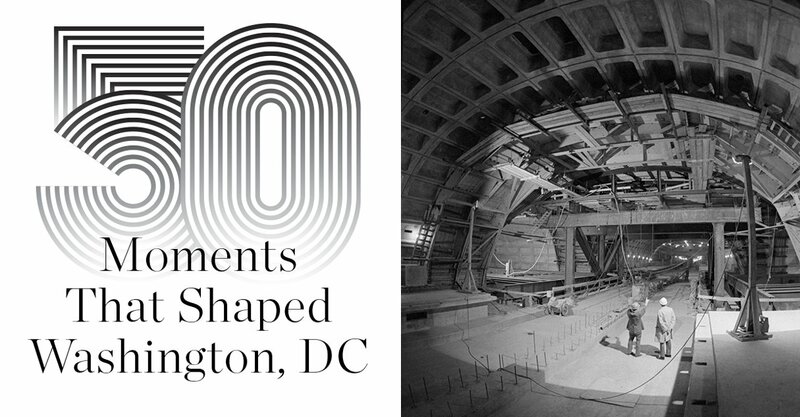 “When 1980 comes, I’m working full-time managing the Georgetown Häagen-Dazs, I have an apartment behind the Marriott by Key Bridge in Rosslyn, I’m out in the world–a young adult pulling my weight for the first time, doing what I want when I want. That freedom was so intoxicating. I’d take a dinner break and eat at the Roy Rogers across from Olsson’s Books & Records, and there was just something about that: I’m buying this food with my wage, and I’m on my dinner break! You’d get off work and think, I’ve got to go to band practice, then back to work again! You’d go to a gig and realize, I’m not going home after the show; I’m going to my apartment! Having money and responsibility as an adult–there was nothing like it. “Besides that, there was Washington, where I’d been living since birth. The whole city revealed itself to me differently as an adult than even six months before. Something about being on your own where the city becomes more yours, in a way. Washington Post journalist who made her name writing for the Style section in the 1970s and was married to late Post executive editor Ben Bradlee for 36 years. 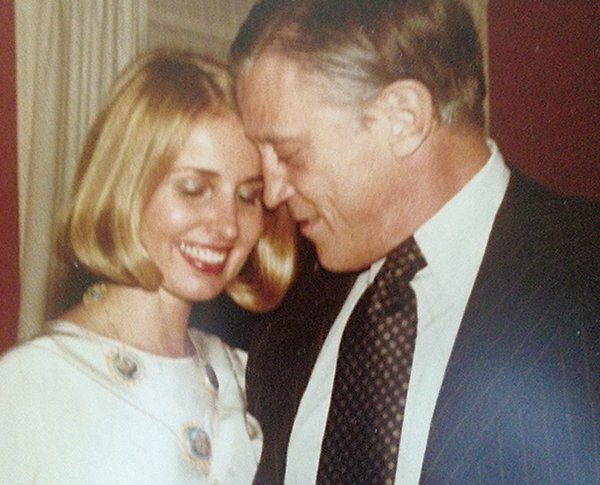 Sally Quinn and Ben Bradlee on their wedding day. Photograph courtesy of Sally Quinn. “Ben was always worried about getting scooped, even when it came to our wedding. He popped the question one night in the fall of 1978. We were having dinner at Twigs, in the Capital Hilton on 16th Street. ‘Well?’ he said. ‘Will you marry me?’ I could hardly breathe, but I got steady enough to say yes. “We told only close friends in the wedding. Judge David Bazelon married us on a Friday afternoon. Kay Graham was matron of honor. Carl Bernstein and Richard Cohen broke the glass. We loved that Jewish tradition. “That night, I planned a dinner party, but I still couldn’t tell people what we were celebrating. I ordered a wedding cake and prepared for a feast. Turns out the British ambassador was having a dinner the same night, so I kept getting regrets. But I already had the cake! So I begged, I called in chits, and people showed. It was Ben’s third marriage and my first. We promised it would be my only and his last. 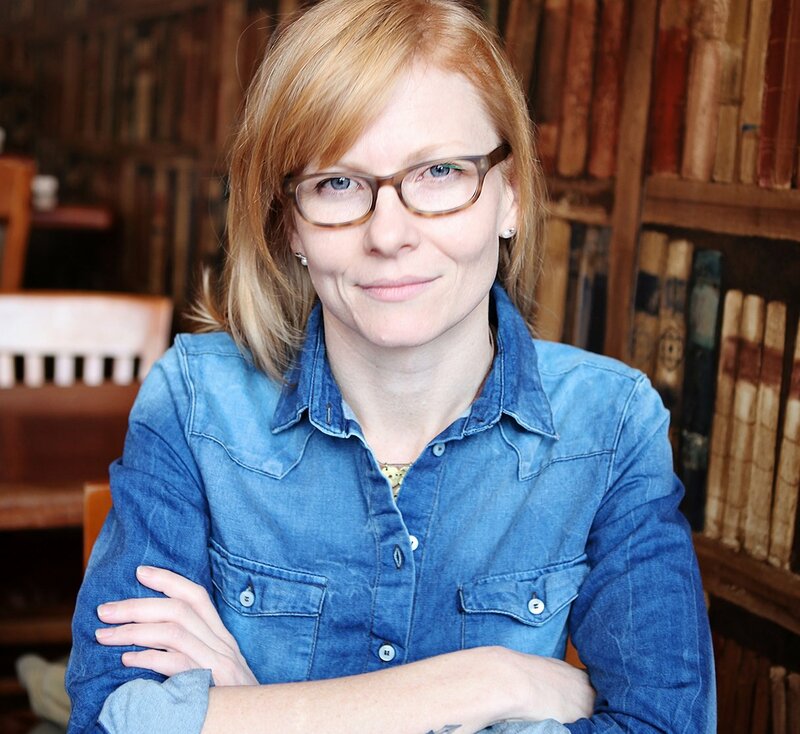 Novelist and Georgetown University graduate whose first book, The Beautiful Things That Heaven Bears, was about African immigrants in a newly gentrifying Logan Circle in the 1990s. 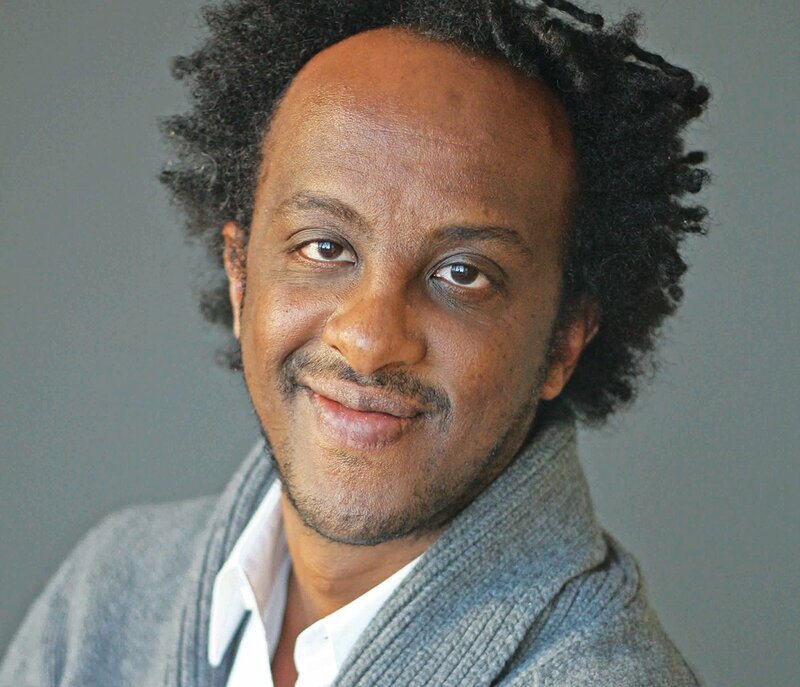 A homeless man helped make Mengestu a novelist. Photograph by Michael Lionstar. “It was my first year at Georgetown. I didn’t spend a lot of time on campus–I spent as little time as possible there, actually. I thought I wanted to be in politics; I wanted to figure out how to have some impact in the world. I was doing a lot of volunteer work with the National Coalition for the Homeless, helping a couple of young college graduates trying to start a nonprofit in the East Capitol housing projects. I spent most of my time between classes and in the evenings out there. “One of my best memories is spending 24 hours with a homeless guy in DC. He lived on K Street underneath one of the nice buildings. I walked with him all day and night, and slept with him and tried to see the world through his eyes. It gave me a great sense of the grandeur of DC. When you spend a lot of time walking with somebody, you realize how invisible parts of the city are. They’re in front of people’s eyes, but they go unwitnessed oftentimes. Longtime broadcast journalist and host of CBS’s Face the Nation for 24 years. He retired this year. 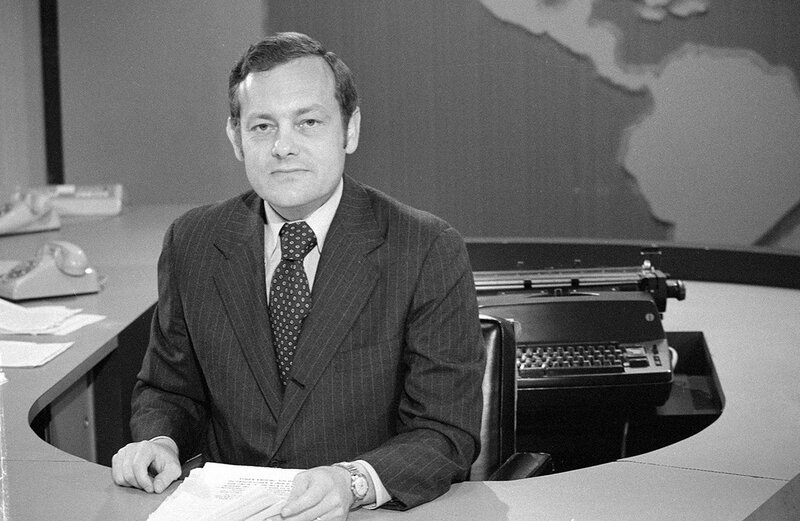 Schieffer at CBS in 1974. Photograph by CBS/Getty Images. 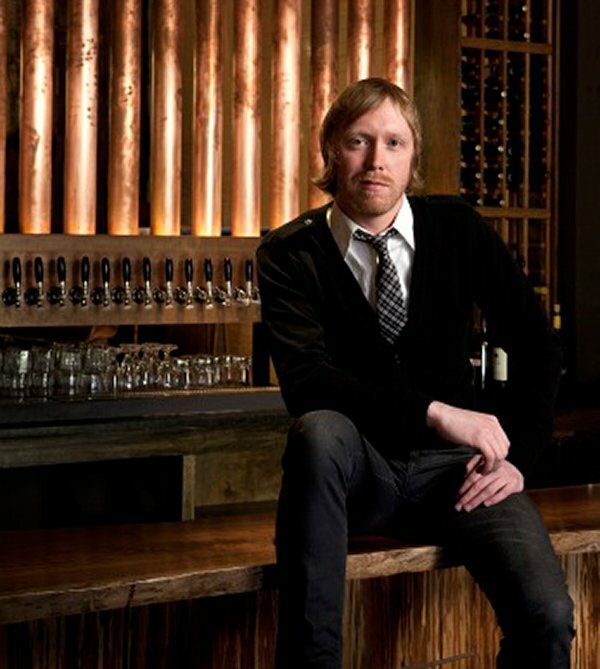 Beer director of Neighborhood Restaurant Group (Birch & Barley/ChurchKey, Bluejacket, Rustico, and others). Engert at ChurchKey the year it opened. Photograph by Greg Powers. Cohost of All Things Considered for 14 years starting in 1972; now a special correspondent for Morning Edition. 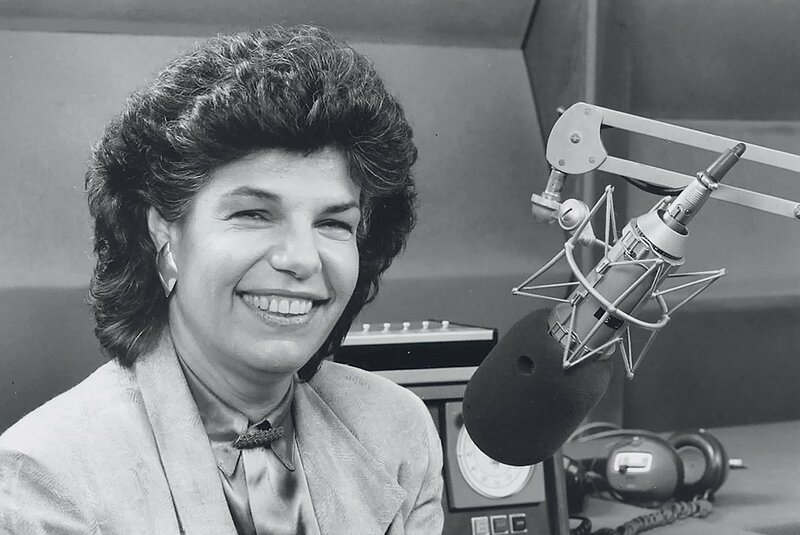 Stamberg, above in the 1980s, came to NPR 44 years ago. Photograph courtesy of Susan Stamberg. “So much was new, and so much was happening. My husband was with the Agency for International Development, and we were back from India. I was a new mother ready to go back to work and got hired at NPR, which was just starting. I was asked to start April 1, and I said, ‘I’ll have plenty of time to make a fool of myself–I don’t need to start doing that on April Fool’s Day.’ So April 5 was my first day. “I dropped my son off at the sitter’s and drove down to 16th and I, where NPR was. There’s this cliché, ‘My heart sang,’ but that’s how it felt. Everything was new: the baby, my life in Washington, and I was going to this brand-new institution. There was such electricity in the air–the civil-rights movement was bubbling, the city was becoming desegregated in a way it hadn’t been, the women’s movement was taking hold, the Vietnam War was at a peak. On our first broadcast, we covered an antiwar march at the Pentagon. Author of many books for children (Alexander and the Terrible, Horrible, No Good, Very Bad Day) and adults (Wait for Me: And Other Poems About the Irritations and Consolations of a Long Marriage, out this month). Viorst and one of her seven grandkids. Photograph courtesy of Judith Viorst. “My favorite year is now–an amazing way to feel at age 84½. 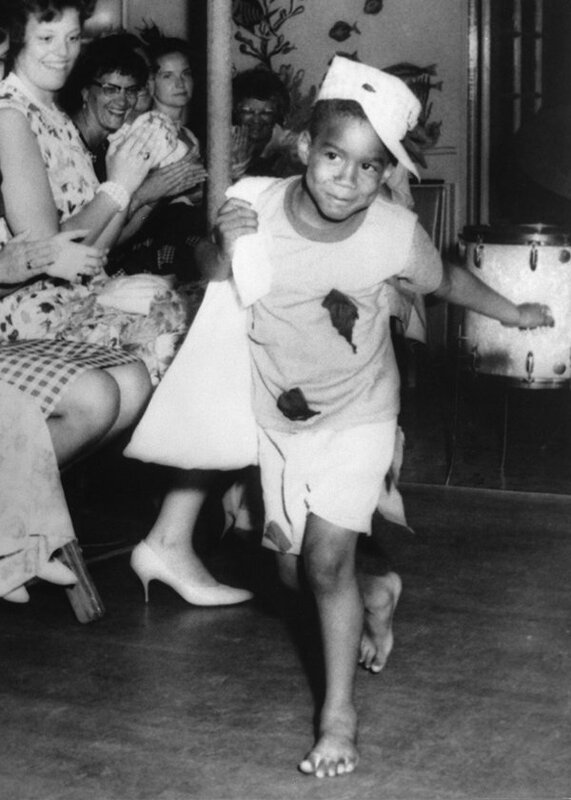 I spent many weekends during early motherhood picketing the White House against the Vietnam War and for civil rights, pushing one of my boys in the stroller and tugging the other two along. I’ve been feeling so bad about the world we’re leaving them and their children, everyone’s children–from Charleston to ISIS–so the Supreme Court rulings on Obamacare and gay marriage have lifted my heart. Founding editor of the political blog Wonkette, Cox now writes for the Daily Beast. Cox, the writer Wonkette built. Photograph courtesy of Ana Marie Cox. “I had been a journalist for ten years when I moved to Washington in 2001, but I had a tough time finding and keeping jobs–2003 sucked. I considered going to graduate school for clinical social work. “Nick Denton had just started his Gawker empire in New York. I had my own blog at the time, and he convinced me to run a Gawker site in Washington. We launched Wonkette on January 4, 2004. “Washington was operating at a humor deficit at the time. Almost anything that added a touch of mockery to the conversation might have been a hit. “Everyone in Washington thought that they were a fraud at some level. I came along and said, ‘You’re right.’ Republicans controlled Congress and needed to come down a peg. George W. Bush was in the White House. The Washington press corps was packed with pompous people. Harvard law professor and author. Kennedy as a kid growing up in DC. Photograph courtesy of Randall Kennedy. Host of WAMU-FM’s The Kojo Nnamdi Show. 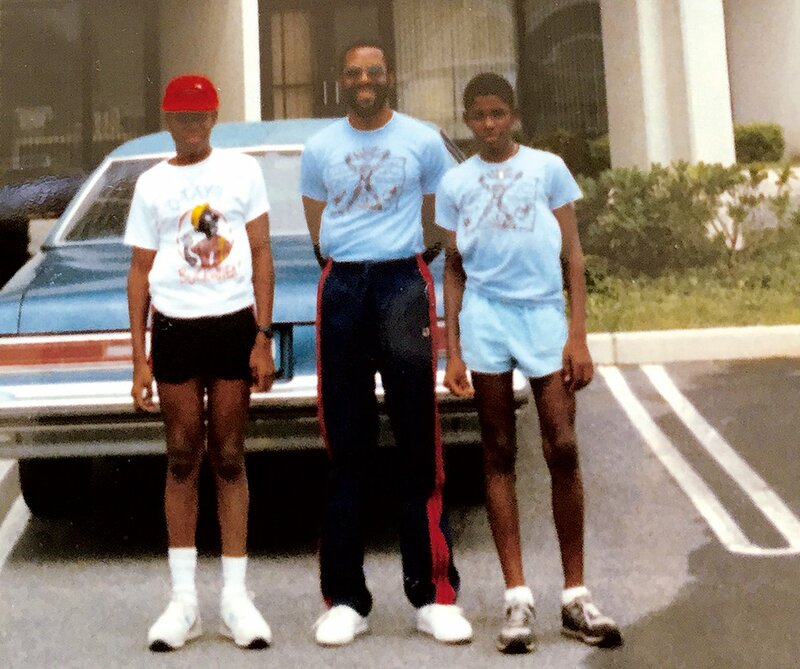 Nnamdi with his twin sons several years before they gave him a surprise. Photograph courtesy of Kojo Nnamdi. “My favorite year has to be 1989. The place was Shaw. The surprise came from my sons. 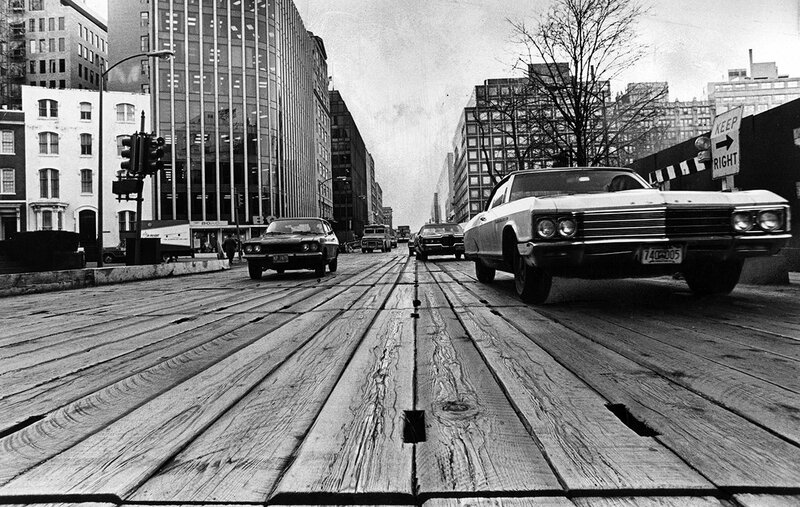 “I had moved to DC from New York in 1969. I had had a son with my first wife, and he stayed in New York. My second wife and I married in 1971 and had twin boys. She died suddenly in 1982. I found myself raising two boys in Shaw, which was considered a sketchy neighborhood. Many friends had moved to the suburbs, especially when Shaw became the center of the crack epidemic. My sons entered Dunbar High when classmates were dealing crack in the schoolyard. ‘Why are you still there?’ friends would ask. Short answer: I felt comfortable in my neighborhood. I knew the crack dealers. I knew the crack users. They seemed to respect me and my sons. ” ‘And it was enjoyable,’ the other said. ‘We shared a lot of laughs.’ I was keeping my eyes on the road, trying to hold back the tears. US congressional delegate representing the District of Columbia. 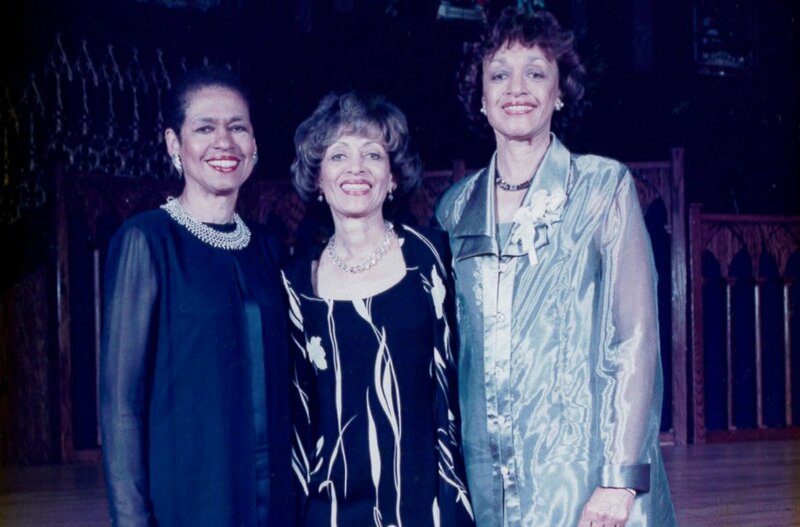 Norton (left) with her sisters in 1991. Photograph courtesy of Eleanor Holmes Norton. “In January 1991, when I stood before my family and friends to be sworn in as the District’s second House member under home rule, I thought: ‘What am I doing?’ It was wonderful that the great-granddaughter of a runaway slave could make it to this point. I was proud that a woman raised in a segregated city could represent that city in Congress. I looked at my mother, a retired DC public-school teacher who had raised me knowing that for colored children, education was the only way out. At the same time, I felt tenuous. I had come from a history of protest against the Establishment, and the notion of joining it in any form was counter to what I had lived through in the civil-rights movement. Wasn’t serving in Congress aligning me with all the things I disagreed with? 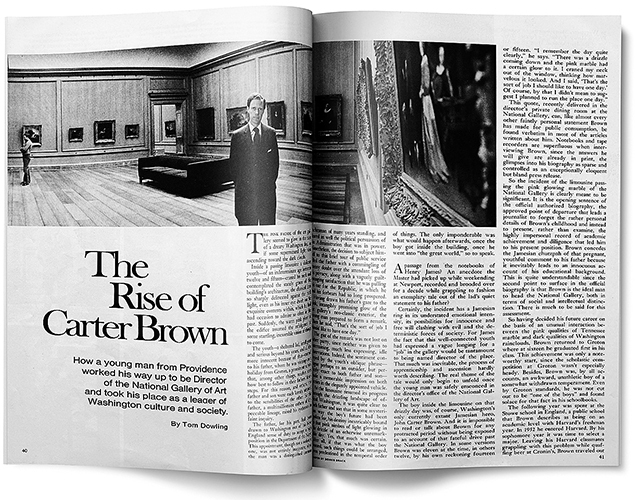 Interviews were conducted by Cathy Alter, Benjamin Freed, Harry Jaffe, Sarah Lindner, and William Triplett.